Photo of the day: COME OUT OF YOUR SHELL FOR EASTER! Photo of the day: COME OUT OF YOUR SHELL, IT’S EASTER! – Liberate yourself for Easter! Awesome visual provided by the Third Rail Projects dance group performance of “Yolk”. This entry was posted on April 19, 2014 by newyorkcityinthewitofaneye. 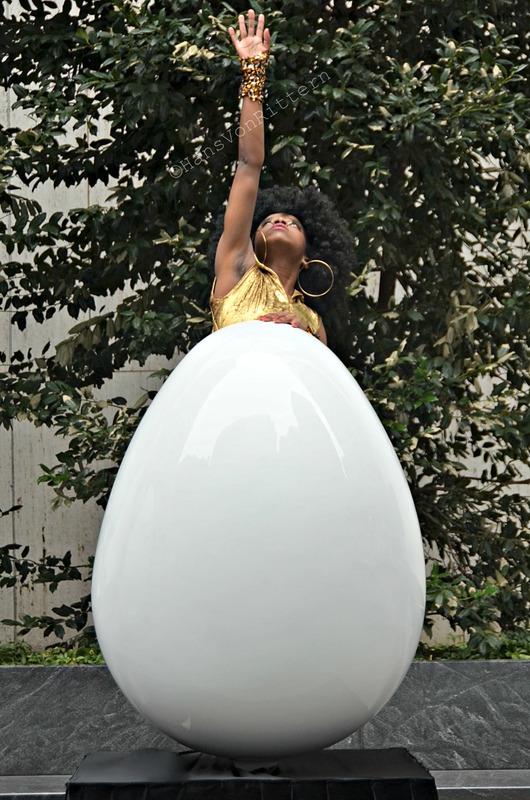 It was filed under DAILY PHOTOS WITH STORIES OF NEW YORK CITY and was tagged with "Yolk" dance performance, 70's egg chair, 70's fashion, Afro 70's retro dance, afro woman rising out of egg, dance, disco egg dance, entertainment, fashion, Hans Von Rittern, Happy Easter, Liberated Easter, Manhattan, New York City, New York photo, Photo of the day, photography, Third Rail Projects.